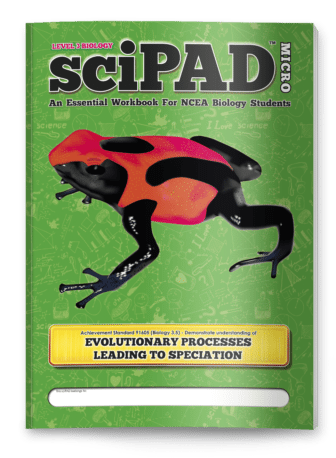 With extensive coverage of Biology 3.6 (AS 91606), this sciPAD™ provides the content and skills required to excel at this level. 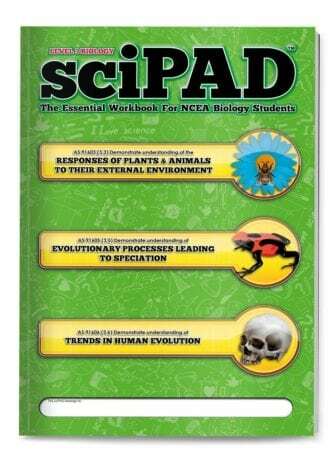 It is full of challenging activities, hands-on investigations, exam walk-throughs and NCEA-style exams. 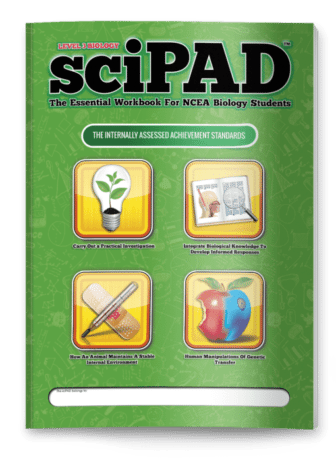 This sciPAD™ promotes independent learning, offering a wide range of activities and provides students with thorough exam preparation. Worked examples to guide and encourage students, enabling teachers to reach students of all abilities, giving every student the opportunity to progress. 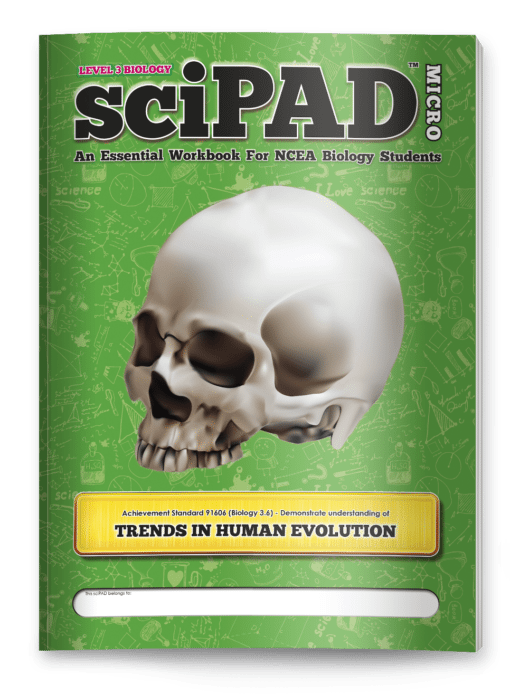 Numerous NCEA-style questions are provided with hints to ensure students learn how to answer questions to an examination standard. 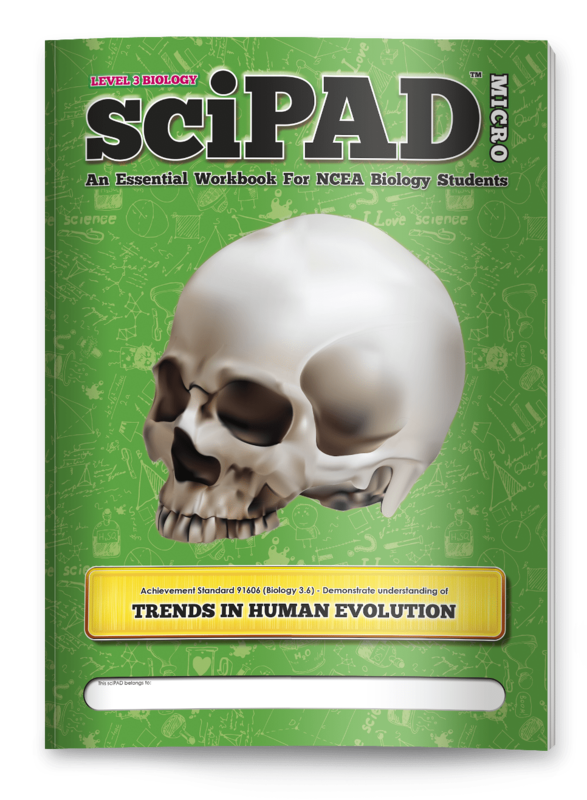 Each section ends with a full NCEA-style exam for reinforcement, practice and preparation. 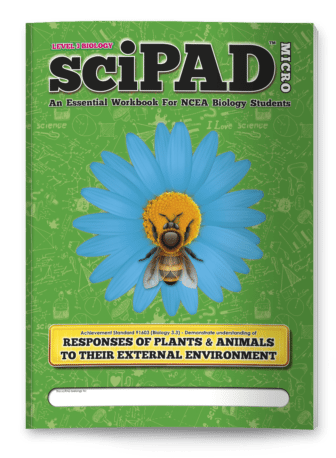 Full answers are provided to guide both students and teachers.